Why is Apple a copycat? Apple is a copycat. There I said it. Well, not in everything. Yesterday they made some big announcements including the updated OS for the Apple Watch and also new iPhones with an entirely new dimension of interaction that rivals will surely struggle to implement. And along with that they will use the front screen as a flash for selfies (although there were apps for that, this functionality is now hardware advanced) and will have a new photo mode called Live Photos which makes all photos a few second videos — I guess that idea came from Harry Potter but fictional ideas don’t really make you a copycat. No Apple appear to be a copycat with the iPad Pro and the new Apple TV. And to understand all this may take a little time so strap yourself in as I am going to need some sub-headings for this one. The iPad Pro is big. You just won’t believe how vastly, hugely, mind-bogglingly big it is. I mean, you may think it’s a long way down the road to the drug store, but that’s just peanuts to the iPad Pro. This is a 12.9 inch iPad that surely feels like holding a MacBook Air in your hands. It weighs as much as the original iPad which means it is comically heavy by today’s standards. For this reason, I find it hard to compare the iPad Pro to an iPad. iPads are for reading. They are meant to be comfortable to use like a book. For that reason, while you can be productive on an iPad — especially for communication — it is not made for work in the sense that most of us use computers today. This is one reason why the diffusion curve for the iPad actually appears to have maxed itself out. That is, the iPad sales will now grow with the market and not ahead of it. Importantly, while they were termed post-PC, the odds are surely against the PC being disrupted. Windows (and by that I mean multiple windows on a screen) rather than focus on an app continues to win the day. The iPad Pro is best comparable to the Microsoft Surface. The Surface was the latest attempt by Microsoft to introduce a tablet computer. Bill Gates had long been obsessed with the idea but there were several failed starts. The Surface is now in its third generation. It is a tablet with a keyboard cover (well if you pay extra for the proper one). And it runs Windows proper which means that it has that ‘desktop’ experience that appears to have survived the tablet onslaught. But it also can shed the keyboard and be used as a tablet. The iPad Pro copied the best idea from the Surface — the keyboard built into the case. Of course, unlike Microsoft, Apple have allowed third party providers like Logitech to build keyboards for the iPad Pro. But the concept is clear. Moreover, the iPad Pro is being launched alongside iOS 9 which brings multi-tasking to the iPad so you can have two windows open at the same time. The message here is obvious: if you want a laptop replacement version of an iPad, but don’t want a Surface, this is for you. But not so fast. While the cover-keyboard idea is a Surface touchstone, the iPad Pro is curiously missing a few things which would make the laptop replacement idea work. First of all, while there is multi-tasking, this isn’t the usual Windows workflow. That matters if you switch between devices. That will limit its appeal as a work device. Second, the keyboard does not have a touch pad. Even the iPad software keyboard now has that. This is important because, while touch is nice, the touch pad is the long-standing way of manipulating windows, text etc. Again, not having this will limit appeal as a work device. Finally, there is no kickstand. This is one of the features of the Surface that makes it more laptop like. But for the iPad you are stuck with one configuration. Indeed, because the keyboard is powered by the device you really have no options here. In other words, on the metric of laptop replacement, the iPad comes up short compared with the Surface. I don’t see it as Surface-envy. Could that change in the future? Possibly but I don’t see it as likely. Before moving on, let me briefly consider the stylus — the Apple Pencil (the name Pencil is copied from 53’s great stylus). While commentators have jumped with glee to quote Steve Jobs disdain for the whole concept, to compare this to a stylus as a primary input device (let alone a required one) is crazy. The Apple Pencil is $100 and does not come with the iPad Pro. Moreover, there isn’t even a spot on the iPad or the keyboard case to store it. You have to charge it but need to put that in separately. In other words, the Pencil is a true accessory and not part of the whole concept. The reviews suggest that is has one purpose — drawing. If you want to draw on an iPad, you want a Pencil. But that is a whole different use case from a laptop replacement. That is a use case that takes the finger as the primary input and the stylus as the thing you use when you need something better. So what is going on here? The entire marketing of the iPad Pro yesterday was basically as a Surface competitor — a better version of it. They even got Microsoft to trot out and pitch for it with a seemingly better version of office than is available on the Surface. Moreover, they didn’t unveil versions of Pages and Keynote that could mirror that functionality. In other words, the positioning was strange to say the least. The only thing that made sense was the use of the iPad Pro for art — in other words, the Pencil mattered while the keyboard did not. For an artist, the iPad Pro seems like a compelling option. I personally think that the iPad Pro makes the most sense as a display — aka a TV replacement. It is one you can carry around and you can place it on a table. While it is a tad expensive for that, I know that I’d like one for the kitchen. That is a use case that makes sense for me. I can imagine that commercial retailing would also find it useful as a display device as well. The better reading of all this is that the iPad Pro is an experiment. Like the Mini, it is a product designed to fill a gap. For that reason, there will be some consumers who take to it. But otherwise, it looks like a device designed to cover a base. When you are the most valuable company in the world, it now pays to do that if only to close off easy and confusing targets to investors. In this case, as it is unlikely to harm overall sales, the reason it has appeared is an answer to the question of “why not?” In other words, this looks like it is there to placate Wall Street. I hate that as a reason but I have to admit that it looks most plausible. Almost everything that was introduced in the new Apple TV was in the Amazon Fire TV a year ago. Using voice to search, games and apps were all there. Now I am sure the Apple product works better — because that is usually the run of these things — but in terms of innovation, the concept can no longer be presented as new. It is easy therefore, to call Apple a copycat here. Except that unlike the iPad Pro that hasn’t been happening. I suspect that this is not really a copy but a delay but otherwise simultaneous invention. The TV concept has its origins with Steve Jobs when he told his biographer just before his death that he had figured out the TV problem. Four years later I think it is safe to say that what he was talking about was Siri. Siri was the last major thing that Jobs did at Apple — purchasing the company and embedding it in iOS. But taking that to the TV was a much harder problem. Put simply, to use Siri to search through TV programs requires much better speech recognition than was available in 2011. But last year, Amazon had that problem solved. Indeed, it has taken it to the next level with its well-received Amazon Echo. So speech recognition was not a reason for further delay. 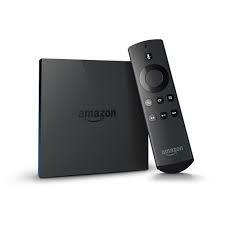 If Amazon hadn’t launched the Fire TV, this would be a big deal and seen as such. It is still likely to be so but we have to start our analysis at a different point. Why did Fire TV fail? It seems to have. It is currently unavailable. Did it not work? Well there are 31,000 reviews with a 4 star rating which suggests that it does. But it is hardly a major hit. Since it is built on essentially the same vision as Apple TV, we have to ask why. Here is my guess at some differences. First, Amazon is US only. Apple TV will be worldwide. Why does that matter? It matters for app developers. The scale issue is important. Second, Amazon’s version of Android is not app developer friendly. Apple’s vision has unified the developer experience with iOS. That builds confidence and will get people working. Third, Apple doesn’t own content. For video, Amazon does. Their business model is focussed differently. For Apple, it is the same app platform and terms as iOS. While some may grumble about that, it is transactionally efficient for consumers and developers alike. This is precisely why Apple can make apps work while those built into set-top boxes, sticks and TV’s themselves, don’t. Sometimes small frictions really matter. This is one of those situations where Apple’s product is not miles ahead in terms of innovation — many had seen the vision and some had moved to implement it. But Apple may have the pieces in the right place to make this work. I think this will mark the end for the cable box and my guess is that the cable companies outside of the US who see this will work with Apple and survive. Others will eventually turn themselves into the dumb pipes they have feared for so long. In other words, this is classic disruptive innovation. It underperforms on a key metric (having all the up-to-date content) that cable companies and their best customers think is important but dramatically improves on another, the user interface, that many will favour. Eventually, the content will move and that will be it. With the iPad Pro and the new Apple TV, Apple can be given a copycat label. Moreover, they did not try to shed themselves of it. I offered Wall Street as one reason why but combining the two products, there is another possibility. I wonder if this is a classic feint. Competitors will review these products and think they have it licked. It is almost as if these two products were designed to lull them into a sense of complacency while Apple steamed ahead in other areas. Meanwhile, Apple has other plans — plans that can be delivered via software updates — that will allow them to move ahead and move ahead using the installed base they build up. The Apple TV works in conjunction with iPhones and the apps can be across those platforms. Such integration isn’t available to competitors. In other words, by wearing the copycat label, Apple may get a strategic benefit of causing rivals to continue to build competing products. And when those products turn up and then look inferior to the latest iteration of Apple products, Apple will have market legitimacy and a competitive advantage. Nope, that idea came from last year when my windows phone (Lumia) had ‘Living Images’, look it up. Previous PostPrevious Who is Gordon Moore, and Why is There a law Named for him? Next PostNext How about a contingent ad-blocker?